The main Instagram growth topic this year and last year was Instagram Powerlikes or Powelikes as they are known. Is the Powerlikes myth true can they make you go viral, and if so where and how can one obtain such trickery? In the last few months I received a few Instagram DM’s and emails regarding the whole Powerlikes and Instagram subject, so I thought I put this article together for those seeking more knowledge on Powerlikes. In last year we have tested countless Powerlikes on Instagram and found various sources and there are many Powerlikes sources to choose from. But only a few will get a mention due to the effectiveness, cost and the ultimate question do they make you go viral? Well Powerlikes do kind of make you go viral and that all depends on what you think viral is to be fair, as going viral varies from one account to another. But one thing remains when it comes to going viral is the type of content used, it’s either thought provoking and very unusual. So here the guide to Powerlikes for Instagram and a few extra bits. Powerlikes is a system where a network of huge accounts with over 100M followers plus combined to like your posts. These likes will hit your posts with 15 minutes of you posting to Instagram. Another question are these likes real ? and how are they different from regular likes? Well the answer is yes they are from real active accounts. These accounts are gaining real followers and engagement everyday. Only real active accounts are allowed to participate in the Powerlikes system. The different between Powerlikes and regular likes is the likes are filtered from highly active accounts which perform better on Instagram algorithm. Powerlikes help your posts been by your followers since the algorithm update and do also give you more chance of hitting Instagram Explorer depending on your content. Firstly, find the content you wish to use, this would be on Instagram explorer. The content you are looking to use should have a high amount of engagement prior to reposting. The more engagement the more chance of it going viral once its been hit with Powerlikes. One last thing always credits the owner, simple Instagram etiquette. The key to finding your content for your own account is from sourcing content from the big niche accounts who are already reposting, as all they work is being down for you. Selecting content with 100k to 1m views, 10- 50k likes which will give you a better chance of going viral when you repost it with your Powerlikes. Also don’t forget your hashtags, there are some people who still doubt the whole hashtag thing. However you have to see it like this, if they are still being used and Instagram give’s you data on hashtags. Then you better used them as standard discpline when your posting and especially when your paying for Powerlikes on Instagram, as you will be wasting your money and time. When you chose to use your Powerlikes with your content timing is always a factor. Aim to post in accordance with your account analytics. If your analytic are not that flattering post at Instagram peak times, to help boost the Powerlikes used. Your “CONTENT” is always king and even with the biggest network of PowerLikes it still will not make your regular post go viral. This is because your content unless its produced for viral effects, will never be selected by algorithm and again just be a waste of Powerlikes you may touch explorer but you wont be there for long. Always make sure you take time to select your content always, its cost effective. With most things in life, there are a few downsides to using Powerlikes, one over the past years was Powerlikes sources using dead 20,50, 100k accounts to deliver the Powerlikes in return just delivers low impressions, and reach due to the accounts being inactive. So be very careful when choosing your sources there were even cases of networks using fake botted accounts and likes etc. Like they say Instagram is like the wild west so expect things like this when you’re on the hunt for Powerlikes. So now you know the full in’s and out’s of the whole Powerlikes scenario, now it’s all about how do you get them. Here a few Powerlikes names thrown around in the forums and are still the front runners for all things Powerlikes. Use at your own risk….. The best way to maintain the purest quality Powerlikes is to find private Powerlikes groups which would be super-niche and only have 100–200 accounts these would be influencer accounts who don’t participate in the auto PowerLikes systems and who are in POD’s liking groups. Below is a few steps to get your own Powerlikes system on it’s way. There are few ways you can go about this, as you need accounts to join your network for the Powerlikes system to work. Things to think about firstly are you going build a niche network or just a large account network. Starting DM Powerlikes group is the easiset Powerlikes group to build but can be a logisticial nightmare when it comes to liking posts at certain times. I would personally opt for the Bot approach get people to sign in and the bot does the rest. Starting DM Powerlikes group is the easiest Powerlikes group to build but can be a logistical nightmare when it comes to liking posts at certain times. I would personally opt for the Bot approach get people to sign in and the bot does the rest. Infrastructure there are many choices this depends on how you want to build, many Powerlikes groups are build on android platform with server and API capabilities and 4g Proxies. However, I think this easiest method is a telegram bot, its faster and you can be up and running in a few hours after testing. Overall you need to think of the benefits for people to join your network. As these accounts with build part of infrastructure and make up your network so you can deliver Powerlikes. Some networks out there offer cash incentives or use of the service free. So you have to decided what works best for you. 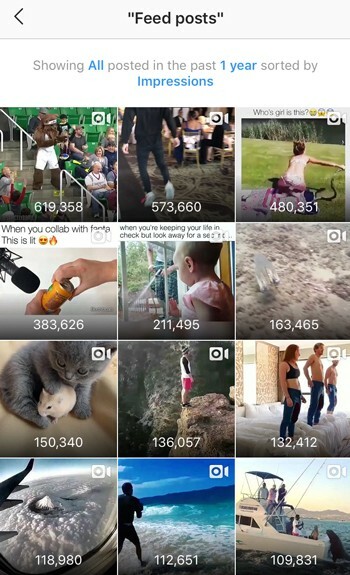 It goes without saying that getting your posts on Instagram’s Explorer is still one of the most popular ways to get real active followers.As we know the most popular posts are always floating around Instagram explorer. 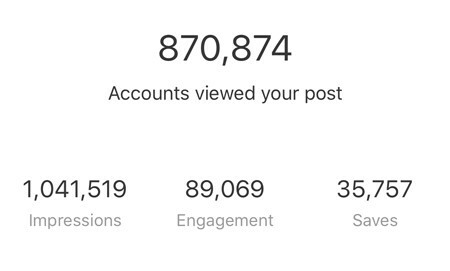 So hitting Instagram explorer will always benefit your accounts growth. So this was my Instagram Powerlikes — The Ultimate Powerlikes Guide for 2018, I hope you liked it wishing you great new year. Why not join our Facebook group, Dream Team Instagram Secrets, As part of the Dream Team Secrets group you’ll have direct access to some of the best Instagram Growth experts in the world plus learn free tips and tricks to help your Instagram group. Instagram Powerlikes — The Ultimate Powerlikes Guide for Instagram in 2018 was originally published in Marketing And Growth Hacking on Medium, where people are continuing the conversation by highlighting and responding to this story.